If you are interested to promote your Websites, Apps, Businesses, Events, Blogs, Products, Books or Services, you can advertise them through a Sponsored Post. I am planning to publish Sponsored Posts on the below-listed Blogs. And, you can promote your Products or Services through our Youtube Channel using Sponsored Videos. 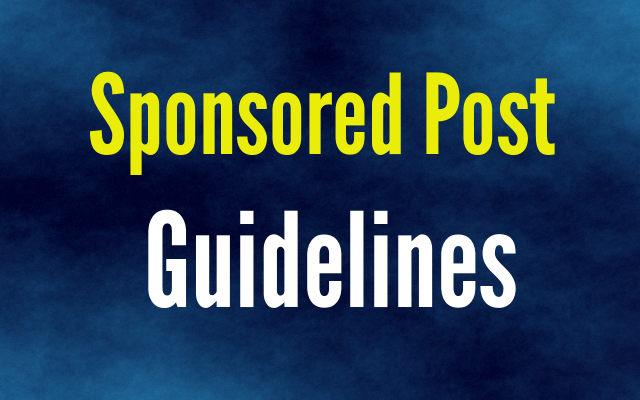 Please find below the Guidelines for the Sponsored Posts. 1. I will mention as "Sponsored Post" to comply with FTC Rules. 2. I will make the links as nofollow to comply with Google Rules. 3. I reserve the Right to remove/modify the post at any time if I find your product/service is violating any Law. If you agree with these Guidelines, you can contact me (rajamanickam.a@gmail.com) with below details. 1. Your Sponsored Article. Or, if you want I will write it based on the details of your product or service. 2. The Name of the Blog on which you want to publish the Sponsored Post. 3. Your Name or Name of your/client Company to be specfied in the "Sponsored By" disclaimer. If you are not explictly giving this information, I will just specify your name or choose a name based on your landing page. I will let you know if I decide to accept your sponsored post, and I will publish it once after receiving payment to my paypal account. If you provide Unique and High Quality Post useful for our readers, I will promote the post through our various Social Media Presense including a Twitter Account with more than 70K real followers. Note that your Offer Price need not be High if you provide Quality Article for promoting Products/Services that are useful for the Readers.